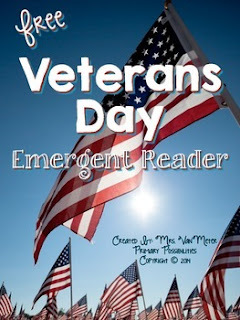 This emergent reader text is a fun and informative way to help your emerging readers track print and learn about Veteran's Day. Color words and sight words are used in this reader. All pages, images and text are black and white to save on ink. Page numbers are on each page.